I wanted to convert my Panasonic DMC-FS3 to infrared (near infrared) by removing the hot filter in front of the sensor and by adding a piece of non-exposed and developed slide film to block visible light. My initial try was with two pieces of slide film superimposed in the place of the hot filter: The camera didn’t focused on infinity, Then I removed one of the slide “filters” and it started focusing on infinity. 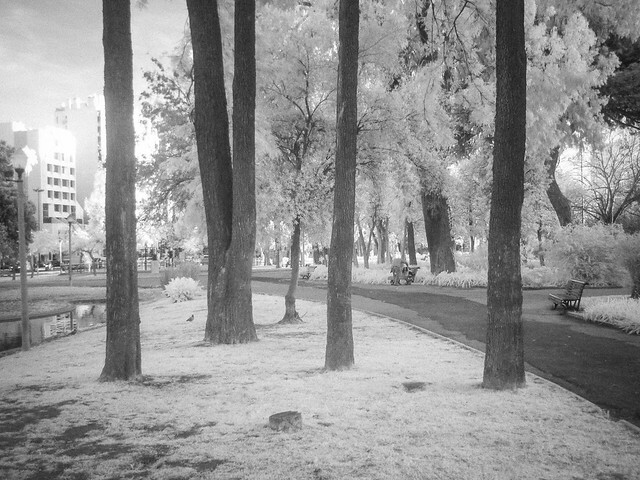 An easy IR camera in a conversion that doesn’t cost more than … well, it’s free. To get BW out of the camera, just set your White Balance to some green foliage. Final adjustments can always be done in post. If you want to see how easy it was (~20 min) the process is very similar to the one described by Eric Tastad for the Panasonic DMC-LZ5 (except in the case of the Panasonic DMC-FS3 it is more simple). 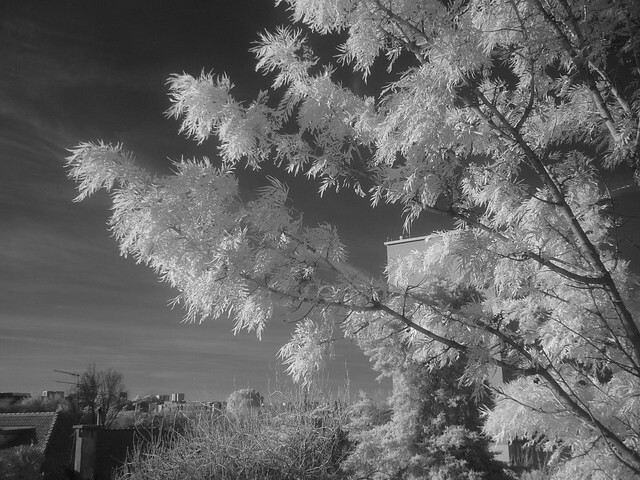 A few more examples of infra red photography can be found on my flickr stream. Panasonic Lumix DMC-GX1 – Só lhe falta um viewfinder em vez do flash.